I hope everybody had a great and crafty National Scrapbook Day. 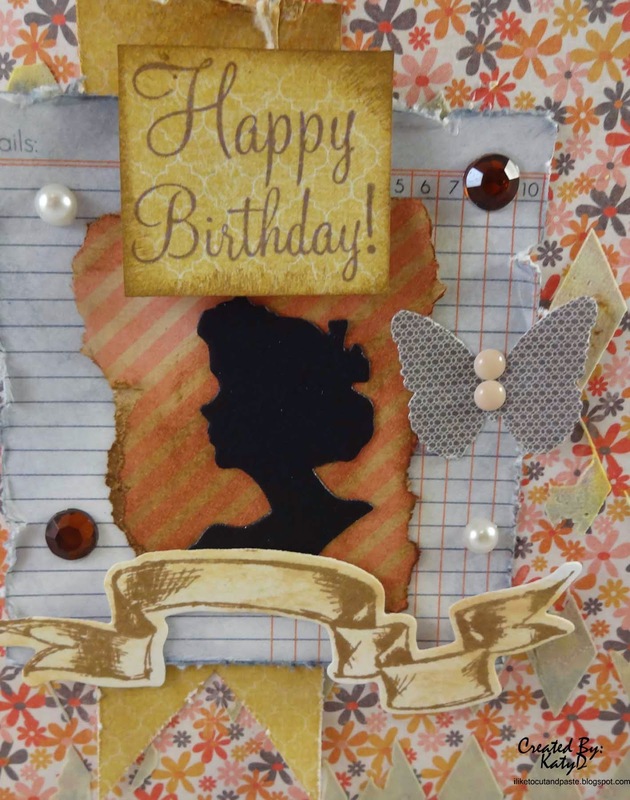 I spent Friday and Saturday at the Scrapbook Expo. I took 101 and 102 book binding and met Melissa Francis! She is super nice and so creative. I also took a class from Clear Scraps and the owner is super awesome and thanked us for taking her class and supporting her business. So of course I had to go check out her booth after the class. So I got so much fun stuff and I was able to use some on this birthday card for a nice lady that my husband works with. The papers are Pink Paisley. 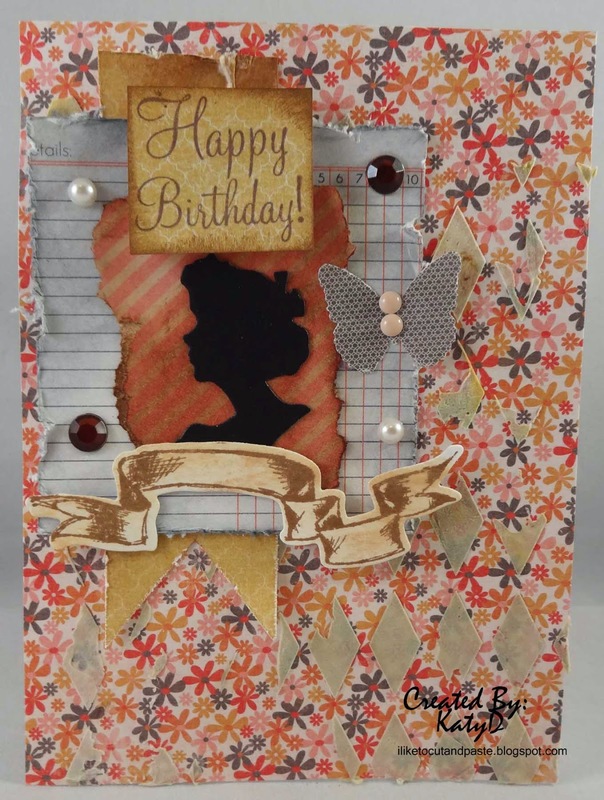 The lady and banner are part of a stamp/framelet set by Tim Holtz. It comes with an oval frame too. And this is light modeling paste with grey and yellow gelato blended in it. 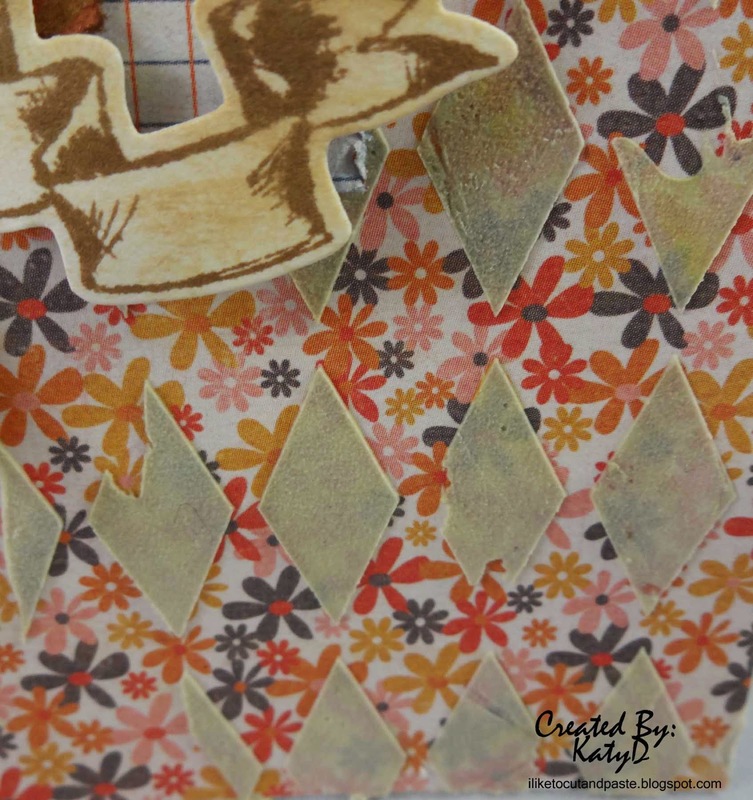 And this Harlequin stencil-new from The Crafters Workshop. I used some Weathered Wood and Tattered Twigs Distress in some places. Oh and scattered straw for the yellow color on the banner. Until next time my friends...good night! This is beautiful! LOVING the diamond shapes and the cameo!!!! wow this is fabulous.. love the layers of pretty.. This is gorgeous Katy! love the cameo and the banner.. gorgeous layers too!